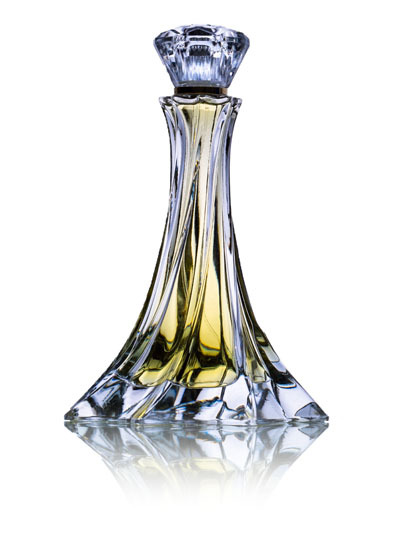 The ‘Beyond First’ perfumes are hand filled and weighed in magnificently handcrafted crystal flacons. Made by Waltersperger, these crystal masterpieces are designed to be refillable or can be transformed into timeless keepsakes. Each flacon is crafted from a bespoke four-piece mould and hand-polished for eight to 10 hours. The shape is reminiscent of the swirling skirts of an Haute Couture ball gown and from beneath evokes the delicate petals of a flower. The cap (in the feminine range) is inspired by a brilliant-cut diamond with 85 facets and is hand-finished. The masculine flacon takes the form of a black quartz stone and is created from a unique black crystal, hand-polished for eight to fourteen hours. Every flacon is presented in a handcrafted box made in Worcestershire, United Kingdom.